1955 Pontiac Starchief Catalina 2dr HT, AC, PS, Incredibly solid! TRADES? 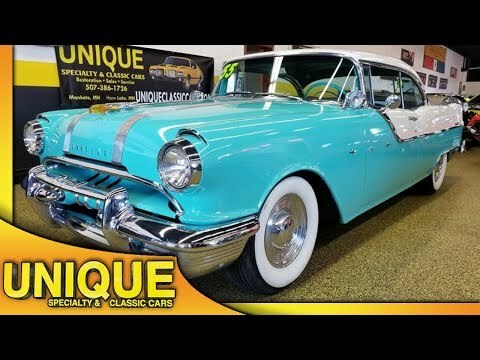 Check out this 1955 Pontiac Starchief Catalina, absolutely beautiful car. The Catalina is Pontiac's designation for a 2 door hardtop. The silver strips on the hood are referred to as the "Silver Streaks" The hood ornament is fully intact and still lights up. Automatic transmission paired with a 287 V8 engine. Beautiful running and driving car, the paint, the bright work, everything looks great. NIce two tone look, this matches the interior which is also in very nice shape. This car does have a dealer-installed A/C unit as well! Just a couple blemishes here and there in the paint, but that's to be expected. The radio does work as well!